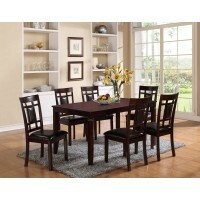 Contemporary 7 pc dining set comes with 6 chairs and a table in espresso finish. The chairs have seating and back cushion support covered in bond leather. 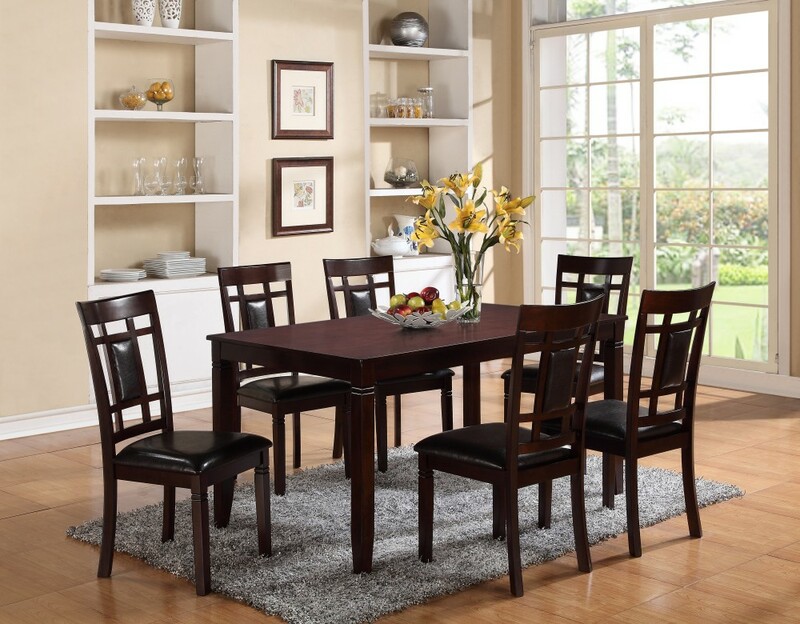 Perfect for everyday use or hosting a party.